Prime Minister Imran Khan on Tuesday called out those who criticised the Pakistan Tehreek-i-Insaf-led government for withdrawing the subsidy on Haj for this year. 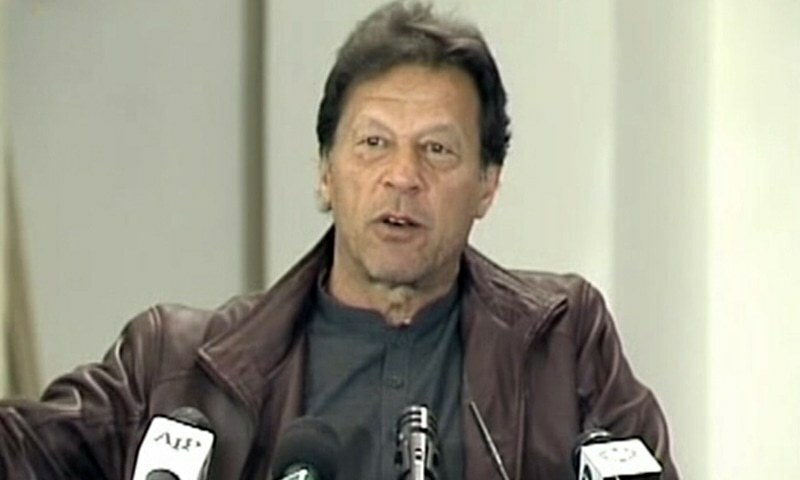 Addressing a ceremony after inaugurating the Railway Live Tracking System and the Thal Express service in Islamabad, the premier — apparently referring to opposition parties — said "these people" ask why the government did not provide a Haj subsidy or make performing the Islamic ritual more affordable. "If you hadn't left the country in this condition [and] if we didn't have so many debts, then we would certainly send pilgrims [to Haj] for free," Khan said, addressing his critics from the previous governments. His statement comes on the back of a cabinet-approved 63 per cent increase in the cost of Haj which was met with backlash from opposition lawmakers. On January 31, the federal cabinet had announced the Haj Policy 2019 under which the cost of performing the ritual under the government scheme has been fixed at Rs456,426 (with qurbani), against last year’s expense of Rs280,000 per person. Every individual would now have to pay an additional Rs176,426. Following this, opposition parties in the Senate had rejected the increase in Haj costs. 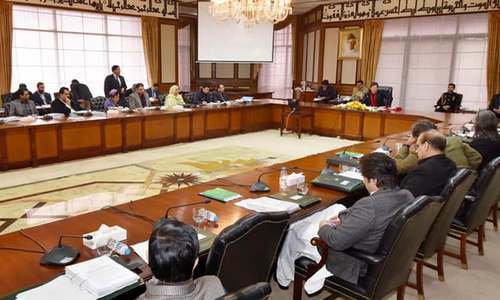 Prime Minister Khan today said the government would have fully helped people "who saved money all their lives to go for the pilgrimage" but was constrained in its support due to soaring debts. He maintained that, on one hand, the government is taking loans to repay the instalments of loans that previous governments had taken and on the other hand, members of the same past administrations were criticising the withdrawal of the Haj subsidy. The premier suggested that if the government was to spend money on subsidies, it could provide the same to cancer and hepatitis patients, or out-of-school children, instead of pilgrims. "When a man is in debt he thinks about what he can spend his money on," he analogised. The prime minister once again attributed the country's economic troubles to corruption, saying in the past people had no fear of being corrupt. "No one had any fear in the past ten years because after NRO (National Reconciliation Ordinance)-one and NRO-two, everyone's fear went away," he said, adding that people did not think they would be caught in Pakistan. 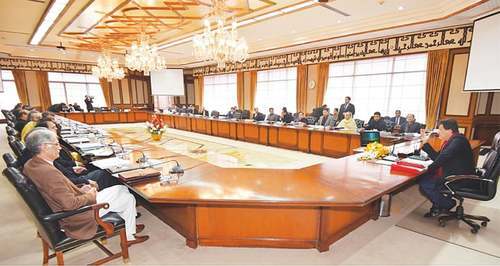 He noted that the country's debt had gone up from Rs6,000 billion to Rs30,000bn over the past ten years. He said the country was going through difficult times while paying Rs6bn in daily interest on the debt that previous governments had accumulated. The premier also asked Railways Minister Sheikh Rashid to look into the alleged corruption and theft that had taken place in the railways and refer the cases to the National Accountability Bureau (NAB). He said the government was looking into the levels of corruption that had taken place in every area and explained that it was important to share this information with NAB "so that people become fearful and scared of committing corruption". Hajj is a farm that can be afforded and paid by the intended haji who should also be physically capable of performing it. Therefore it is not Faez on people who cannot afford or are physically not fit. 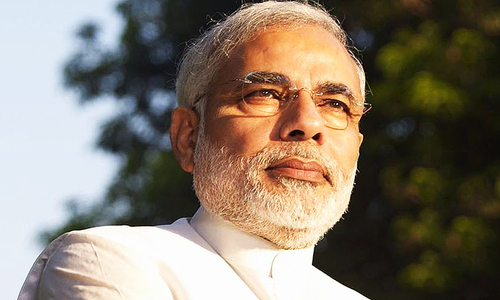 PM should focus on Science and Technology and not religion to become popular. If government is talking about religion all the time, then Pakistan will always suffer. Let religious leaders talk about religion and politicians avoid talking about it else things will never change. Being a long term well wisher, even though the statement may hurt sentiments. All talks and no action. IK becoming PM seems to be a mistake. Pl.do not send them free but send them on previous rate., as life is not too long to wait for golden era. Why not cut down defence budget and allocate it for Haj subsidy purposes? PM has a sensitive heart and telling the realities of our Pakistan. Previous governments have not only misgoverned but looted our treasurey. Pakistan is in big debts. Honest and clear concerns by PM. IK talks logic whenever he speaks unlike his predecessors. @2CENTS, your comments makes no sense at all. I believe he was referring to the loan which his government have taken. @Mian, mian mean nawaz shareef? Tough but fair decision, we are paying debts that go back over 30 years and it will take 5 years for the economy to stabilize. Just look at China and India they did not become rich overnight. @Mahmud , write clean and spell check sentences. @Mian, did you ever hear about giving the man a chance? If you think IK becoming PM is a mistake then I would say Zardari and Shariff becoming our leaders was a train wreck and for proof just look at our economy. @Mahmud , are you familiar with spellcheck? At least switch off autocorrect. Sir, you are a very honest man and there are no known scandals like the previous Governments. However you and especially your minister have a tendency to talk too much. Please control that and do your work everything will be fine. Hajj is Farz to those who are well off to afford expenses and healthy to travel. Giving subsidy means giving financial help which should not be acceptable to any intended haji. This is true that previous governments looted the resources of the country, but hopefully Imran Khan will bring the country on the right track. the only sane thing i have heard from IK in a long time. You don't need to perform haj if you are under debt as per Islamic teachings. There is never so much money to give someone for free. It either requires a mutual benefit or a very big heart. So he would pay Pak Rs 456,426 for each haji? So assuming only 150 million are eligible that is Pak Rs 68,463,900,000,000. What planet is IK living on? He has a opinion on everything. Sometimes it’s better to be silent instead of rambling. Silence is a virtue. Sending people to hajj for free makes no sense. Whereas, if affordable subsidizing it is logical. Why is the government subsidizing Hajj in the first place? It's not even an Islamic government's religious duty to subsidize it since it's only obligatory on those who have the means to afford it. However it is a government's duty to provide all its citizens adequate healthcare, education, safety of life and property, and employment opportunities. @Mian, apparently you are still missing the facts or just don't care to know. Ifs and buts don't help. For a change please think about providing free education and health care. @Fairplay, when India was rich? It is still a poor country, but yet gives subsidies to haj pilgrims..
Mr PM, instead of getting into this back and forth, why not talk with Saudi Arab and have them lower the cost of Haj? And no one would perform Haj if the government gifted them a free pass, its not how Haj works, its still the responsibility of an individual to perform Haj after he/she has overcome their obligations and are free and clear to perform the pilgrimage. But I do thank you for your thought. Can start by sending 5 people for free. @2CENTS, Easy for you say that sitting in the comfort of your home, you know what it takes to protect all corners of our beloved country? With due respect to all, we should avoid discussion on this topic. The PM and his cabinet members should take a lead and make no comments. The Opposition should alao not make any comments. Haj is not mandatory for those that cannot afford it so put this down for playing to the gallery. But Mr. PM, Hajj is individual responsibility if one can afford it. We should never have subsidized Hajj. India is giving subsidy on hajj ,this shows who treat muslims in best way. If you afford Haj for free for everyone you'll be in debt anyways. Senseless talk. It is not the government's responsibility to send citizens on Hajj !!! @2CENTS, Why? Government is not responsible for personal belief and Hajj! Please read what was practiced in the state of Madina. Haj is only restricted for those who can bear the expenses from their own pockets. It is not for any state to bear such expenses for even one person who is not well off to meet the costs himself. As for you and your government, why not take the initiative and cut down on your take home pay and also perks by fifty percent? The public knows you could live easily with that much money from the exchequer. If you are indeed serious about saving the country's money, that could be the first step towards achieving that objective. "Would send for free if didn't had so many debt" is contradictory statement in itself. There is no free lunch khan saheb...you must raise different sources of revenue for any freebies. I disagree. All those who saved money for life to perform haj this year will suddenly find themselves stranded with their dreams shattered. This increase should have been gradual. It’s too steep and not acceptable. Hope other Minister and Secretaries should pay for their Hajj and Umra. Shouldn't perfom Hajj and UMra by tagging to some official visit. Maybe Saudi will grant haj subsidy to Pakistanis. Infant khan should talk to the Prince when he visits. 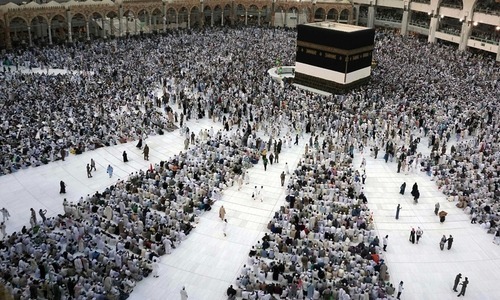 @Nadir UK, How can you send 150 million people to hajj at once. What planet are you living on. When we talk of debt it should be in US dollar or Euro terms; PKR is not proper. Also - 6,000 billion rupees to 30,000 billion rupees!! REALLY ! The debt was about USD 100 billion? Now USD 250 BILLION!! [based on 60pkr/usd 10 years ago to about 130 now]. That is outrageous. Well said PM. Country is under debt and we have no choice but limit subsidies. Besides Hajj expenditure is personal effort/expenditure of the person going to Hajj and not a state responsibility. @2CENTS, Wow what a logic. @Fairplay, India is still poor and a third world country so don’t compare it to China, there is no comparison and besides modi spends millions on a useless statue whilst large parts of its population starve so we don’t need ‘advise’ from Indians. Sure, the country cannot afford Hajj subsidy. @Citizen, India is doing well economically. It is set to overtake UK as the 5th largest economy. I know, the size of the economy depends on Population too, in that case, china is a middle income country and india is a lower middle income country. Not poor anymore. You will be astonished to see the next poverty statistics. Seven months nearing still engergies r wasting on wipping the previous government including ministers? All I can say is that our PM is clueless. @Citizen, "when India was rich? It is still a poor country, but yet gives subsidies to haj pilgrims.."
India used to goive hajj subsidies. In 2012 the SC ordered that the subsidies had grown too big and should be wound up in 10 years. The same money could be used for welfare of the Muslims (education, health etcetera). The 2019 hajj will be the first subsidy free hajj from India as well,. @Citizen, richness does not come just with money. Being a hindu majority country India still subsidises haj travel for many muslims. Is this not considered as richness when compared to Pakistan? Does your all weather friend China ever did that for muslims in China? Completely agree with IK. Than why Sikhs are not charged visa fee, costing Pakistan billions in services and security arrangements. Need to keep a balanced to run a good and honest governance. Sikhs are very welcome with all our heart in Pakistan but everyone need to pay their fair share of services. IK need to have a balanced policy. If it was in our hand, we would have put chains around Nawaz, Shahbaz, Zardari, Dar, Hamza, Dr Aasim Sharjeel Memon and all the people required by NAB. Saudi Arabia should subsidise the poor South Asians. After all south Asia including India , Pak , BD are contributing to their oil riches as consumers. In India Congress was using it as an election ploy to woo votes from Muslims. 175000 people were using this largesse from the government for years. It was found out that Air India was making money during this period as they kept the airfare high to cover for losses elsewhere. These trips cost the Govt around $ 250 million every year. I ask a question rom opposition getting money from IMF on interest and giving it as subsidy for haj is valid in Islam??? In other words haj on money borrowed on internet is valid or not?? @Nadir UK, Not every one who is eligible actually goes for Hajj. How absurd, if somebody wants to go to Haj then they should pay their own way. Why in these 70 years has the government of Pakistan not equally subsidies foreign religious travel of the Pakistani Hindus, Christians, Sikhs and Parsees? The government should not subsidies any foreign religious travel whether it can afford it or not. All the Ministers and influential people go free. Punjab CM Buzdar is on the Haj at Government cost right now. @Premji, You should have thought a hundred times before saying this: "PM should focus on Science and Technology and not religion to become popular". We have don't have to talk all the time about religion, but religion should always be there as a backdrop in a Muslim's life whatever he is doing. Now we are so lucky that our premier is talking about religion. Islam is the religion of peace. Where there's Islam, there's peace.Yes, in every walk of life, be it politics, economy or science and technology. @Aurangzeb H Ch, The previous years rate has gone up due to rupee devaluation + inflation. Last time I checked the Saudis also deal in $$$. Luckily for Indian Muslims, their Hajj subsidy provided by the Indian government has not been canceled even once since it was started in 60 years ago. The current subsidy provided by the Government of India for Hajj pilgrimage stands at about $1,900 per person. I don't think the state should be paying for someone to do their Huj. If the person cannot afford it, stay at home. I've heard stories of poor ignorant village folks who go to Huj after selling their valuables or borrow money. Makes no sense. I agree him. He is doing best to uplift Pakistan from its financial woes.it's going to take some time. He doesn't have a magic wand. We deserve it right... or not..
Dont worry this govt will cry debt free even.. Excellent response from IK. How do the oppositions expect the Govt to subsidise hajj when firstly it should ONLY be performed by those who can afford it. Secondly, when Govt is taking loans to pay debt. No one and I mean no one in this world who has any common sense would back such a subsidy. good leaders do not hide behind IF and BUT, they DO. @Mian, what other candidate you had in mind to run Pakistan? The obligation of Hajj in Islam, as I understand, is for a Muslim who has the financial means to undertake not just of the fare for the journey to and from Mecca but all the incidental expenses associated with it. Would a person be really full filing his/her religious obligation when its being paid or subsidized by the state? PML N supporter, But Great move. Mr. Prime Minister the pressing issue for the masses of Pakistan their fundamental and inalienable right to health, employment, affordable housing and education for their children and not free Hajj. @Lahori kid, --- It takes more than we are doing now. @Owais, You mean PPP and PML-N have paid off the debts taken out during those 2 governments. Plse read PM's comments, it says loans went from 6000billion to 30,000billion over the past 10 years. @Prateik, what is a lie here? Hajj is personal matter with so many conditions on individuals. It’s NOT government job to subsidise their trip. Only a sincere n true PM can say this..
How about undernourished children and deaths? Imran , make sure public is not paying for your Haj and Umrah ! Indeed very right PM Imran. Hajj is dependant on affordability and people with debts and responsibilities etc are not forced to do it. It has sadly become a symbol of show and hypocritical 'piety' in our society now. If you really wish to change the fate of Pakistan then , apart from practical economic steps, you will also need to bring about a major change in moral attitudes and social mores. Please think about that. The hajjis must paye to go to Hajj ,otherwise go to work ,except the very very poor elders .give the chance to the gouvernement. Of course not on the gun. He would also send people to the moon if the country were not so heavily indebted. Fortunately empty promises do not cost anything. Any news of the stolen $200 billion he had promised to get back within a few months of coming to power? @2CENTS, Exactly, why not? That would be the way to go. Focus on basic needs of people first. @Aurangzeb H Ch, where will the govt get the money from. IK mentioned the tradeoffs too. Proud of you dear PM Khan. Your logic inspires all those who love their country genuinely and understand realities. @Khan, Would KM allow that? Do you really think KM can make that kind of sacrifice? Pakistan doesn’t need another pseudoIslam as was introduced by Zia. One who can afford let him/her go for Haj. It is not Govt’s responsibility to pay for Haj. @Citizen, India isn’t Rich? Let’s not even begin to compare the National coffers, but purely from a civilian stand point Compare our billionaires to your and it should be the wake up call you badly needed. A country with over a billion people and still projecting economic growth isn’t the sign of a poor nation. Every person who had not performed Hajj this year and they are not able to in the future for some reason, all responsibility on IK. what about extra 570 billion rupees given to army despite so many debts. Please get you priorities straight. How about sending them to school and college for free so they can pay for haj themselves if that is what they wish to do. 70 years later, every two bit scheme, but never one that would force every child to be in school. Mr. Khan is probably unaware of the maturity of the people of the country to take his statement of sending people free for Hajj seriously. Social responsibilities of government should be performed first and than Haj. @Calgary, "Mr Imran instead of acting like a social worker or NGO should learn to act like an entrepreneurial leader with logic and results!" Would you vote for an entrepreneurial leader with logic? If any trend for that was apparent, there would have been some candidates. IK is at the moment, the best electable candidate possible, however bad he is (which he proves to be presently), but best nevertheless. With this system, you can't have any better. Easier said then done. 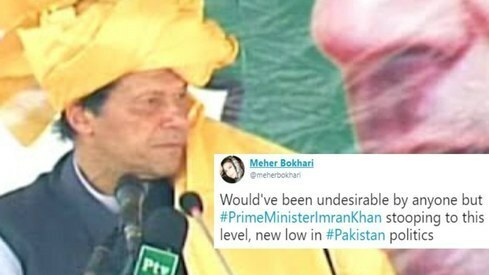 His words also lost their credibility because his is King of u turn. So let him say whatever he wants to say for his own happiness. @Owais, again a wrong notion. Saudi and UAE deposits are not a loan as such but means to shore up the Foreign currency reserve position. These deposits will not be used to finance any long term development projects but to balance the forex reserves position in the short term. @Mian, "All talks and no action. IK becoming PM seems to be a mistake." Precise and to the point! Would also make welfare state with free housing healthcare food and clothing plant ten billion trees only IF.